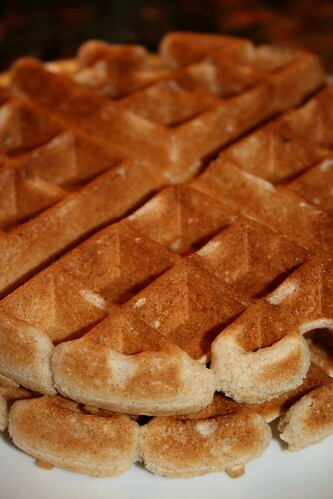 Wow, this waffles recipe looks awesome! The okara - do you use raw okara (immediately after grinding) or cooked okara (filtered after cooking)? Thanks! I made note of this information in the sidebar: "Unless otherwise noted, I use 'wet' okara when cooking; i.e., straight from the soymilk-making process, well drained but without additional squeezing or drying." I hope that helps! Ahh i see! Does the wet okara has to be cooked? No, after the soymilk machine it is drained, but no further steps are taken.